New York City Ballet’s Ask la Cour with, left to right, Rebecca Krohn, Jenifer Ringer, and Ashley Bouder in George Balanchine’s “Serenade.” Photo ©Paul Kolnik and courtesy NYCB. NEW YORK — City Ballet broke with several traditions by beginning its new season with four weeks of early fall performances (September 14 – October 10). The traditional opening-night gala was delayed until the middle of the fourth week so seats that first evening could go for the special introductory prices of $50 and $25. Repertory included such novelties as the New York premiere of Benjamin Millepied’s recent “Plainspoken” on October 7 and revivals of Peter Martins’s rarely performed “Grazioso” (2007) and “The Magic Flute” (1982). Also out of the ordinary was an aggressive merchandising campaign built around a posh 9-by-12-inch booklet filled with studio portraits of principal dancers which was available for the taking in the theater lobby. Photographer Henry Leutwyler filmed everyone in casual poses and garb a la People Magazine. Most of the men are sporting the scraggly beards the guys insist upon growing between seasons. Daniel Ulbricht, however, is not only clean shaven, but the one dancer whom Leutwyler captured performing an actual step: a soaring 180-degree split leap, with ballerinas Teresa Reichlen, Sterling Hyltin and Sara Mearns seated on the floor behind him. (Yes, seated.) Letters to the editor and postings online promptly deplored the devastation such informality wreaked upon the dancers’ images as golden, gifted beings, so unlike us folks out front. Frankly the only dancers’ images that matter to me are those they create onstage. Soo Youn Cho and Alfonso Martin in Tulsa Ballet’s production of William Forsythe’s “In the Middle, Somewhat Elevated.” Photo copyright Rosalie O’Connor. TULSA — For the past 15 years, Tulsa Ballet artistic director Marcello Angelini has been leading his company to this moment, when it could not only obtain the rights to perform works like William Forsythe’s “In the Middle, Somewhat Elevated” and Jiri Kylian’s “Sechs Tanze,” but actually perform them with the skill, stamina, and artistic maturity they require. It feels like a turning point. To receive the rest of the article, first published on December 18, 2010, including more photos + a bonus story by Tulsa Ballet artistic director Marcello Angelini written exclusively for the Dance Insider, subscribers please contact publisher Paul Ben-Itzak at paulbenitzak@gmail.com. Not a subscriber? Subscribe to the Dance Insider for just $29.95/year and receive full access to our Dance Insider Archive of 2,000 exclusive reviews by 150 leading dance critics of performances on five continents from 1998 through 2015. Just designate your PayPal payment to paulbenitzak@gmail.com, or write us at that address to find out about payment by check or in Euros. Just want this story? Donate $5 through PayPal to paulbenitzak@gmail.com then send an e-mail to that address with “Tulsa” in the subject line. Today’s re-publication of this article, which first appeared on July 8, 2000 and which also considers the work of Sean Curran, Mark Dendy, and Roger Sinha, is sponsored by Freespace Dance. 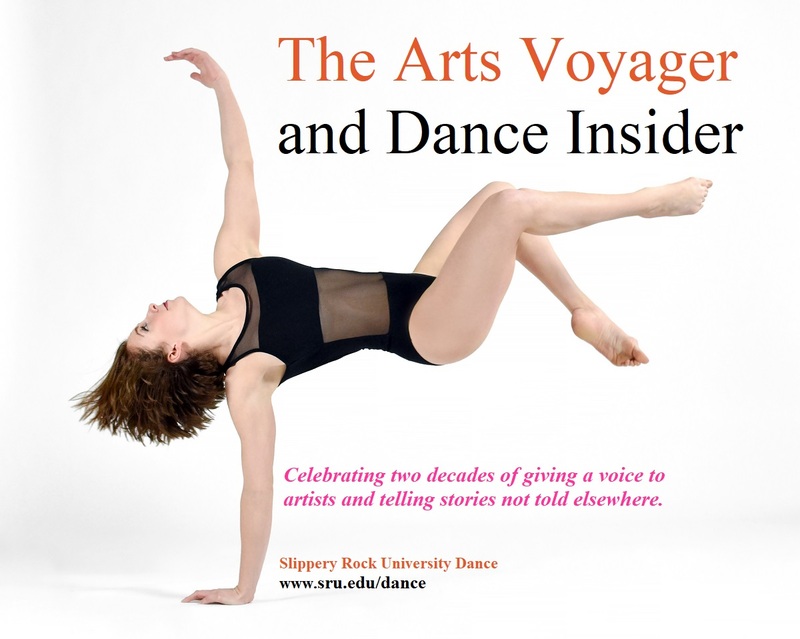 For nearly 20 years, these are the kinds of stories the Dance Insider has been covering. If you value this kind of unique coverage, please support the DI today by becoming a subscriber for just $29.95/year. Your sub gets you access to more than 2,000 Flash Reviews of 20 years of performances on five continents by 150+ writers, plus five years of the Jill Johnston Letter, syndicated exclusively on the DI. You can subscribe or donate through PayPal by designating your payment to paulbenitzak@gmail.com , or write us at that address if you prefer to pay by check. NEW YORK — Every choreographer I have known is, to some degree or another, manic depressive. Clairvoyant in his or her highs, doomed in the lows. Sean Curran seems, on the surface at least, more manic than depressive. Roger Sinha, both in the choreographic text of his “Burning Skin” and in his performance of it, is more obviously darkly manic. But I am thinking of this, to tell you the truth, not so much because of the performances of these two choreographers and their companies last night at Central Park SummerStage, but because of the news I heard, belatedly, just before the concert — and which struck me like a blow to the solar plexus, taking the life out of me — of the death by suicide, at age 36, of Ranjabati Sircar. I met Ranja in 1995, when I had just started working at Dance Magazine and was something of a neophyte to dance in general, let alone dance from the sub-continent, let alone the distinctions between the various genres of that dance, let alone choreographer-teacher-dancers, like Ranja, who melded classical forms to contemporary ideas, not always to a warm popular reception among audiences or choreographers of an older generation. On top of this burden, Ranja had familial expectations, her mother Manjushree Chaki Sircar being a well-known choreographer and teacher in Madras. “Is it all right to smoke?” asked the tightly wound, striking young woman who entered my compact office that Fall day. “No,” said I, and for the next hour, while Ranja was forthcoming in discussing her work and Indian dance and hybrid classical-modern dance, she fidgeted and remained tightly wound. Still, we hit it off, and, after some hesitation at its appropriateness, I called her a day later an asked her to a Maria Benitez concert that night. “I would love to go!” Ranja said. It was a moving concert: Benitez’s conception of the de Falla/Sierra 1915 flamenco ballet classic “El Amor Brujo,” about an older woman driven mad by love and her own demons, followed by a tablao-style second half. We were transported, in fact, to a tablao, notwithstanding that the performance was actually happening in Chelsea at the Joyce Theater. Ranja was positively glowing afterwards; I could feel that she wanted to dance Flamenco right then and there, and indeed she explained to me some of the linkages between that form and certain classical Indian dance forms. To prolong our virtual visit to Andalucia, we decided to repair to “El Cid,” for tapas and sangria. Something about the Flamenco left us both less tightly wound, we spoke not just as choreographer and journalist but as man and woman. The sangria loosened things further and by the time I walked Ranja to the 14th Street subway stop, we had that automatic, slightly giddy, elbow-knocking intimacy that, in the right circumstances, even strangers can sometimes find when the planets are aligned. We met up again a couple of days later for San Francisco Ballet at City Center — it was either Val Caniparoli’s African-ballet hybrid, “Lambarena,” or David Bintley’s AIDS fantasia, “The Dance House” — and I can still see Ranja, emerging from the crowd: intent look, oval face, olive complexion, intent eyes finding me right away across the crowded sidewalk. This time we repaired to Baryshnikov’s Russian Samovar for horseradish-flavored vodka. More significantly, from a culinary perspective, Ranja shared her curry recipe with me. She could never eat at Indian restaurants in the U.S., she said, because the food was too bland, so she carried with her a curry kit packed with the various spices that go into the national dish. Having previously only used a generic Spice Islands “curry powder,” I asked her what the ingredients were: cumin, turmeric, coriander, cinnamon, cardamom, cloves, mustard seed OR onion seed, cloves, and fenugreek. (The fenugreek is tricky; put it in last or it dominates the whole.) I still make Curry a la Ranja Sircar to this day. Afterwards, sensing the imminent end of this visit and Ranja’s return to India, I invited her over for tea. We spoke about everything — life, relationships — and oh, I am trying so hard right now to remember the specifics. About visualization, I think, and astrology. If I close my eyes I can see her face in front of me…. I think we spoke of gurus… and of something magic and inchoate… and she told me about Cassandra. There’s a word in Urdu — which I know is the Pakistani and not the Indian language, but still I think it applies here — “Janoon,” which, I’m told, means obsession. Ranja’s Janoon was Cassandra, about whom she’d written and choreographed a piece, because of what Cassandra says about the position of women in society. Given the gift of prophecy by Apollo, this daughter of the King of Troy was then deprived by Apollo of the power to make people believe her prophecies, after she refused to sleep with him. Thus, when she accurately warned the Trojans about the Trojan Horse, no one believed her warning that an armed force was hidden in the horse, and Troy was sacked, and Cassandra raped. When Troy was captured, Agamemnon took Cassandra as his prize; both were ultimately murdered by his wife, Clytaemnestra, and her lover Aegisthus. This too Cassandra predicted: “… for me waits destruction by the two-edged sword.” [Cassandra. Aeschylus, Agamemnon 1149] In many realms, Cassandra was and is looked at as “mad,” driven so by her visions. Ranja invited me to see her “Cassandra” that week at the studio of Mary Anthony, so dear to one of my dance mentors, the late Joseph H. Mazo. From what I can recall, it was a dance of vulnerability and pain, but seemed at its beginnings, Ranja not yet able to externalize a story that obviously resonated so deeply with her. Ranja and I lost touch until 1998, when I asked her to write a preview about the pioneering Indian choreographer Chandrelekha. Ranja made clear that there was a fission between her and the older choreographer, but that she recognized her importance on the Indian scene. When the article came in, I perpetrated what I now see as an irrevocable minor cruelty; there was no interview with the story, so I declined to use it, or to pay Ranja. This upset her, and we lost touch again. Today I grieve not only Ranja, but that I will never be able to make this right, to compensate for a minor cruelty with a later kindness. And I wonder if this was just one of a series of “small” cruelties that added up, in Ranja’s mind, to only one solution and antidote. The same report in India Today makes all sorts of conjectures about what drove Ranja as an artist, and what in society and in her own family life — particularly her complicated relationship with her mother — might have driven her to kill herself. Here, I can only offer the observation of someone who once observed Ranja close-up, in what seems now like a lifetime, indeed a different life ago: Alternately driven and insecure, confident and unsteady. Beautiful and yet perhaps burdened by that beauty. Heir to a pedagogic legacy, and yet burdened by that as well. In what now seem our all-too-brief but nonetheless intense conversations of five years ago, it seems Ranja and I only started to ask the important questions…. Okay, now it comes back, one thing we talked about, both of us, was how we were trying to live healthier lifestyles; she in particular to give up smoking…. It seems Ranja hit a black impenetrable wall in her own searching and maybe… maybe, for as I write this I am still too stunned, numbed really, from the news of her suicide to barely begin processing what it means… but it seems that even if Ranja was not able to find the insight that would save her from her own hands, she offers one insight, I think, to choreographers — not just artists, but choreographers specifically. Roger Sinha’s piece, “Burned Skin,” had to do with insecurity about identity — no, with self-hate of one’s racial identity, based on an apocryphal tale of an Indian boy who jumps into a vat of boiling water because he’s heard it will turn his skin white. Alternating with scenes of Pascale Leonard’s serenely brewing chai, the dance that ensues is nonetheless manic, as Sinha tries on all sorts of racial archetypes, from a swaggering, chick-chasing Dean Martin in shirt and tie to a kilted Scotsman. It’s a comic romp, but performed with a mania that suggests the character is not so much whimsically playing with other identities, trying on other masks, as running from his own. Sean Curran presents a similar contradiction. His Chaplinesque stage persona never really completely hides — and perhaps this is why it resonates! — some sort of tragic, invisible burden. He’s ultimately a sad clown. In “Folk Dance for the Future,” when he gives up and then hangs his head after suggesting he might follow Amy Brous’s pivot-less somersault, it’s funny, but it’s painful too. Curran’s kinetic skill and particularly his gift for inventing new dance geometries is apparent in “Abstract Concrete,” premiered last night, and it’s an enjoyable diversion, expertly danced by a group of performers who are clearly getting inside Curran’s choreographic vision… but it has nowhere near the emotional resonance of his recent “Six Laments.” This dance — and particularly Curran’s own performance, as he gets up, stumbles, and gets up again, repeatedly, always looking over his shoulder, it’s surmised at a departed friend, as if he is being reminded every time he stumbles that the friend is no longer there — is anything but a facile tragedy with cheap plays to the emotion; it’s obviously based on real experience. I’m thinking also of Mark Dendy. As hysterically funny as “Dream Analysis” was — this 1998 hit conjures Nijinsky, Martha Graham, and Judy Garland among others — it is ultimately a psycho-familial journey that also drove Dendy nearly to hysteria. During the creation, he told me when I interviewed him for the New York Times, he was haunted in his nightmares by an aunt who he also conjured in this dance, the idea being that she couldn’t believe he was going to bare her story in his dance. Since “Dream Analysis,” interestingly, Dendy has followed an easier route, a pure dancey direction. In one sense I want to scold him for this — Why is he relying on his natural musicality for easy successes, when he can go so much deeper? — but after the death of Ranja, I can see the danger inherent in mining those deep waters. The suicide of Ranja Sircar — and to a less obvious extent, the work of the artists I saw last night — gives me this epiphany: Dancing, and particularly choreographing, is not only not “not a real job.” It is an expedition no less fraught with peril than the most snake-ridden excavations of Indian Jones. Not all of these prophetic men and women, thank G*d, find their visions so ultimately and unremittingly black and hopeless that they are moved to take their own lives. But I have no doubt that the small deaths are real, and the stakes high. Notes (from original article): Ranja’s mother passed away this spring. Thanks to Anita Ratnam for her insight.